115 patches (including 3 variations). 384 MB of samples (48 kHz/24 Bit) used in Thorn's Noise-oscillator embedded inside the patches. All presets have the modulation wheel assigned, many also use aftertouch and velocity as a modulation source. Please allow me a few hours to process your pre-order and send you the confirmation Email including the download links. This soundset explores the sonic boundaries of Thorn to the maximum, covering a wide range of sounds from evolving pads, exciting overtone textures and complex drones to gritty rhythmical sequences in different time signatures, expressive keys, pluck and lead sounds, punchy basses, beautiful and otherworldly soundscapes and some experimental textures hard to describe with words. For this library, all wavetables, samples, single-cycle waveforms and shapes for the harmonic filter were created from scratch, either by re-synthesizing dedicated samples or manually within Thorn's editors. Many patches use tempo-synced modulations for filter, amplitude, panning and oscillator effects, all presets have the modulation wheel assigned enabling the user to deeply interact with the sounds, many presets also use aftertouch and velocity as a modulation source. You can view/download the PDF for this library with more details, the licence agreement and the patchlist including desccriptions for each patch here. 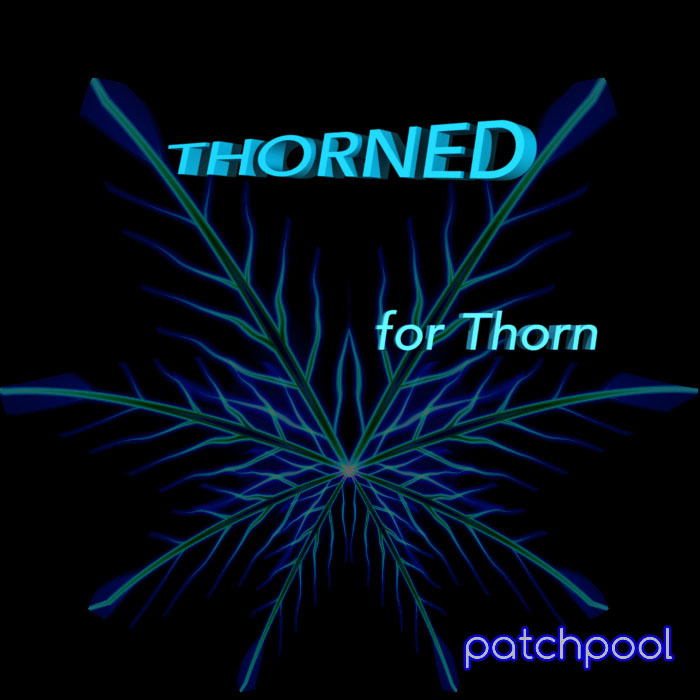 All demos were produced entirely with Thorn using only patches from Thorned, no post-processing was applied. Yo Simon, your tour de force library for Thorn is keeping me up when I should be resting up 4 a gig this weekend, I hold U responsible also for enhanced lucid dreaming brought on by overexposure to your patches......outstanding work as ever, totally stellar. I heard the demos and bought straight away. Top quality as usual, Simon. Thank you. I got thorned and it was a treat!